High wages are sometimes illusory; in expensive cities, the lion’s share of a salary is spent on the cost of living. Healthy job growth in Silicon Valley has resulted in soaring living costs, a housing crunch, and longer commutes. The small region in California is home to 39 Fortune 1000 companies and more than 1,000 startups; it is revered as the economic center and innovation hub of the United States. The ranks of software engineers in top-tier tech companies like Google, Microsoft, Apple, and Amazon have made it difficult for professionals in others sectors to stay in Silicon Valley. In 2015, more than 7,500 residents relocated to more business-friendly areas of Austin, Texas and Seattle, Washington. Indeed, the average inward migration to Silicon Valley was 1,962 per month, compared to 3,393 to Austin and 3,125 to Seattle. This continued in 2017, with 30 percent of the households in the region not making enough money to meet their daily needs. High housing costs and long commutes dampen a region’s ability to attract and retain talent. 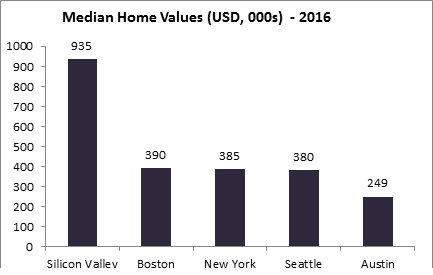 In 2016, the median home value in the region was more than twice that of Boston, New York, Seattle, and Austin. Traffic in Silicon Valley has worsened the situation; the average commute time has increased by more than 15 percent from 2010 to 2016, compared to 5-11 percent in other cities like Seattle, Austin and New York. Recently, Silicon Valley web-based startup Zapier started offering a special incentive program reimburses each employee willing to de-locate out of the San Francisco area up to $10,000. All of the startup’s work is remote, and so can be done from anywhere. The policy will be a relief for families who are now able to move to regions with affordable rents, mortgages, and childcare. The absorption capacity of Silicon Valley is almost exhausted, which has resulted in a rise in the already high housing rents. Incentivizing employees to relocate out of the San Francisco area is a judicious policy experiment by Zapier: if followed by other firms it could help to release growing pressure on real estate, infrastructure and transportation and potentially create new innovation hubs around the US. President Trump’s vow to “Make America Great Again” has created a number of reform initiatives. One, among others, is to restrict migration from other countries to create more opportunities for native people. In April 2017, visa guidelines were revised, affecting the arrival of entry-level IT workers from emerging markets. 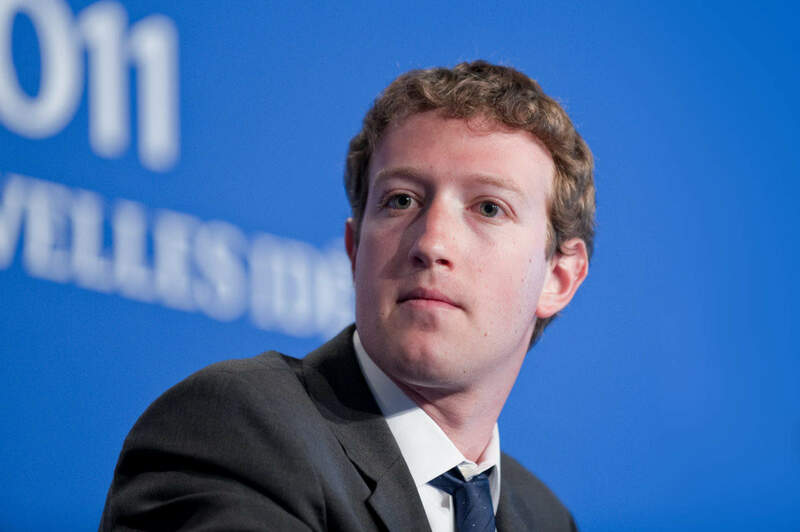 These restrictions will reduce the pool of foreign professionals in the innovative industries of the US; a knock-on effect may be reduced house prices in the region as the overall demand will slow. The 13th Annual Demographia International Housing Affordability Survey: 2017 listed 27 cities (out of 406 surveyed) with severely unaffordable housing markets: 13 in the US, seven in the UK, five in Australia, one each in New Zealand and China. If companies, where work can be done irrespective of the location, adopt similar policies to Zapier – offering de-location incentives – benefits will be seen. Such innovations will both help employees to overcome the high cost of living, and help companies avoid paying very high salaries to sustain their workers in these expensive hubs. Sexual harassment claims, lawsuits and CEO tantrums: what is going on at Uber?